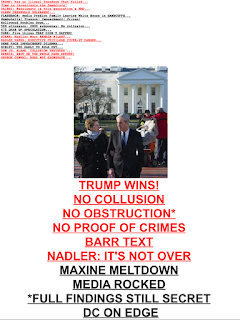 WITCH-HUNT IS OVER.....WHAT ARE TRUMP-HATERS UP-TO NEXT ? 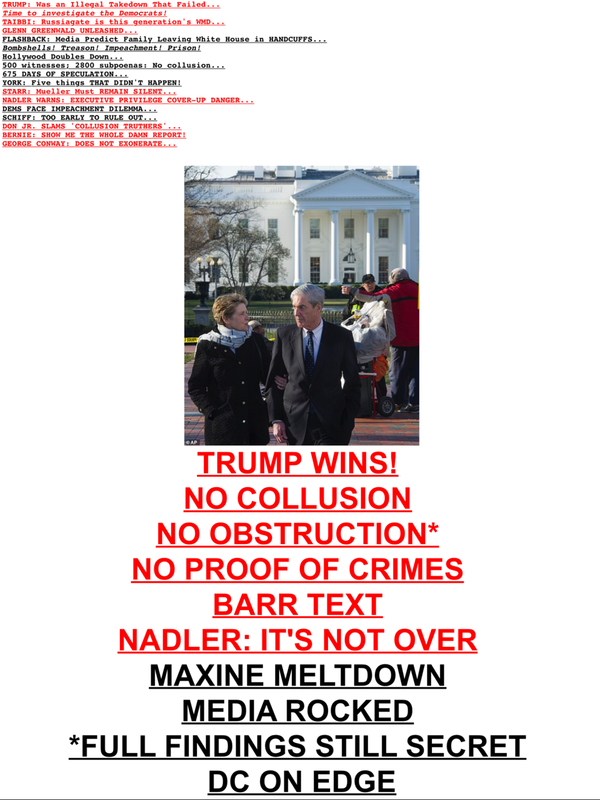 Dems are already going to Plan B which is a House investigation. Again paid by the taxpayer and also time could otherwise be spent to attempt resolution of other critical issues actually affecting constituents. The underlying problem for Dems is none of their platforms have caught fire with American voters. Most if not all Dem platforms are simply self serving for the politicians. The gap between the ostensible reason for a platform and the actual follow the money basis has become too attenuated to sell the ostensible reasoning to even traditional Dem. constituent groups. The answer is to replace current American voters with 16 year olds, convicted felons, and illegals. Another Democratic strategy is to abolish the Electoral College to allow control of all of the US by two blue coastal strips. All these imo are destined for failure.